Rewarding Times has teamed up with the Restaurants Association of Ireland to offer you Gourmet Restaurant Week, with 3 very special Gourmet Experiences in 3 award-winning Restaurants. 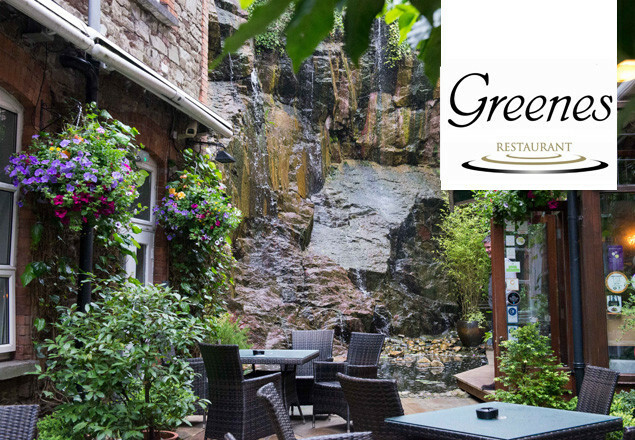 With this exclusive offer, Greenes Restaurant, MacCurtain Street, Cork City is offering a 5 course tasting lunch for two people, and a bottle of house wine for only €80. The food at Greenes Restaurant is innovative, modern and devoted to place. Greenes is listed in the McKennas’ Guides’ 100 Best Restaurants in Ireland 2017. It won Best Restaurant in Cork at the Irish Restaurant Awards 2017 and Best Restaurant in Munster at the Food & Wine Awards 2016. Award-winning chef Bryan McCarthy heads up the kitchen team at Greenes. His style of food emphasises wild, foraged and organic ingredients produced as close to the restaurant as possible, as well as preservation and fermentation techniques that deliver innovative flavour combinations. For a glimpse of the incredible food Greenes has to offer, click here. Offer is for two people to include bottle of house red or white. Lunch Tasting Menu is available Thursday to Sunday, 12.30-2pm (excluding 27-29 Oct). Tasting menu changes daily (please see sample menu on the website www.greenesrestaurant.com). The offer is valid from 17th of August until Sunday 26th November 2017. Offer to be redeemed by or on Sunday 26th November 2017 (excluding 27-29 Oct). Reservations only by calling Greenes Restaurant on 021 4552279. Vouchers can be used for reservations at any time Thursday to Sunday, 12.30-2pm (excluding 27-29 Oct). The voucher does not cover the cost of teas, coffees, sides dishes additional bottle of wine or other beverages.